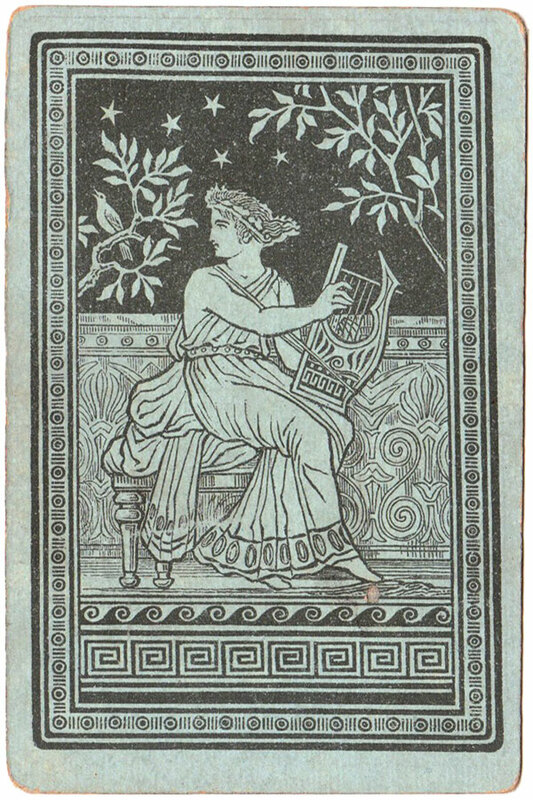 This anonymous and untitled “Snap” game from the late 19th century has a back design showing a mythical Greek muse with a lyre, or a goddess of music, song and dance. The “Old Familiar Faces” clown make-up is very much like that of the famous clown Joseph Grimaldi whose name “Joey” became used for all the subsequent white-faced clowns. 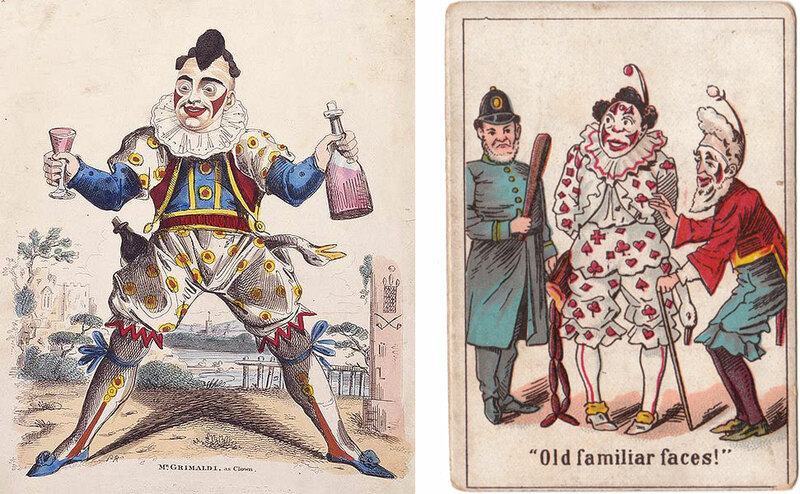 Grimaldi had died in 1837 but his style of clown had become a permanent fixture in Victorian melodrama and pantomime. 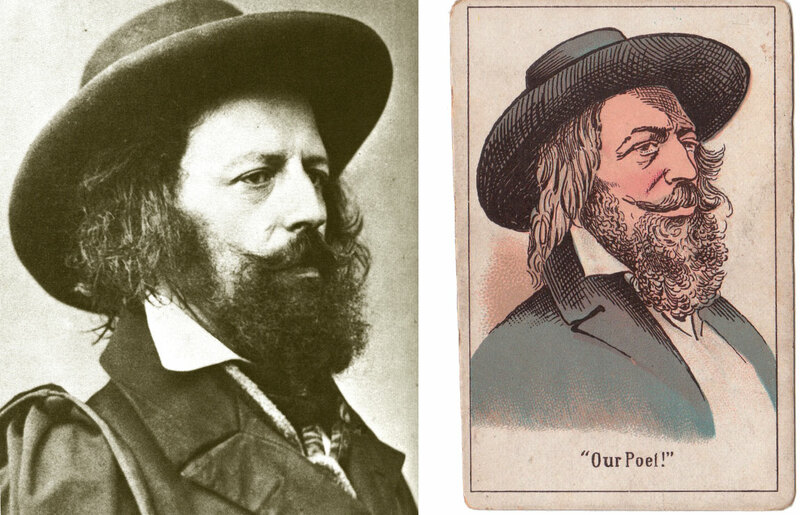 Alfred Lord Tennyson was poet laureate for a large part of Queen Victoria’s reign. He was appointed in 1850 and remained in that post until he died in 1892 aged 83. The card is a copy of a famous photographic portrait of him. Music Hall artist George Leybourne sang a song about a lady charmer called Captain Cuff in the 1880s. Michael Nolan sang a Music Hall song in 1890 about Annie Rooney. “Opera Boufeé” card. This was a style of popular French opera style of the late 19th century particularly the operas of Jaques Offenbach. Above: Anonymous “Snap” game from the late 19th century. Images and notes courtesy Rex Pitts.